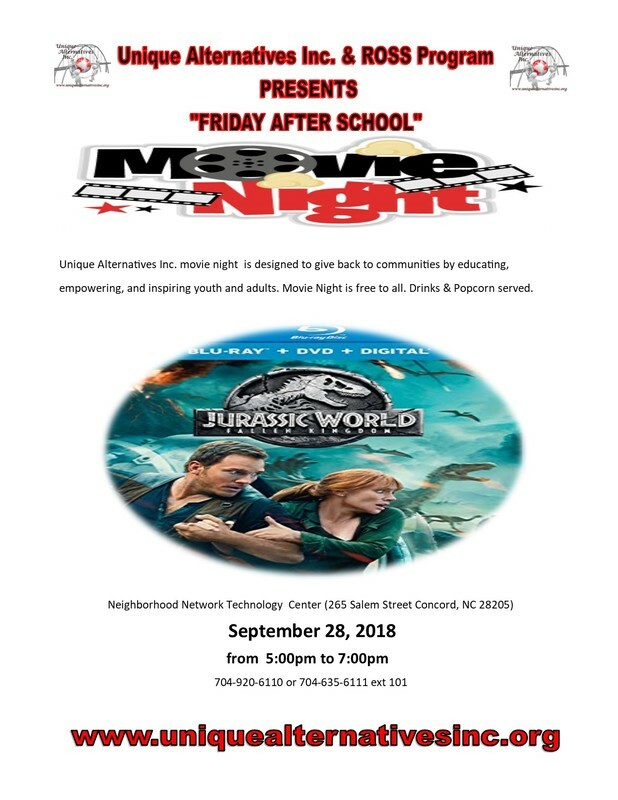 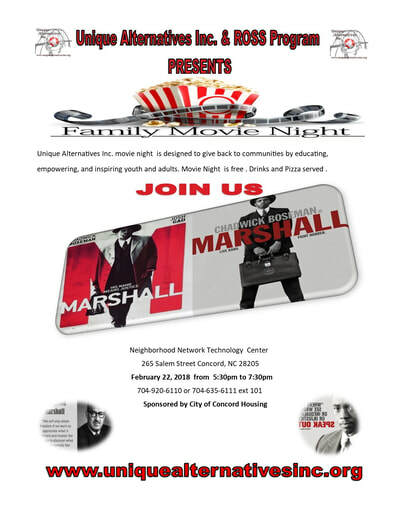 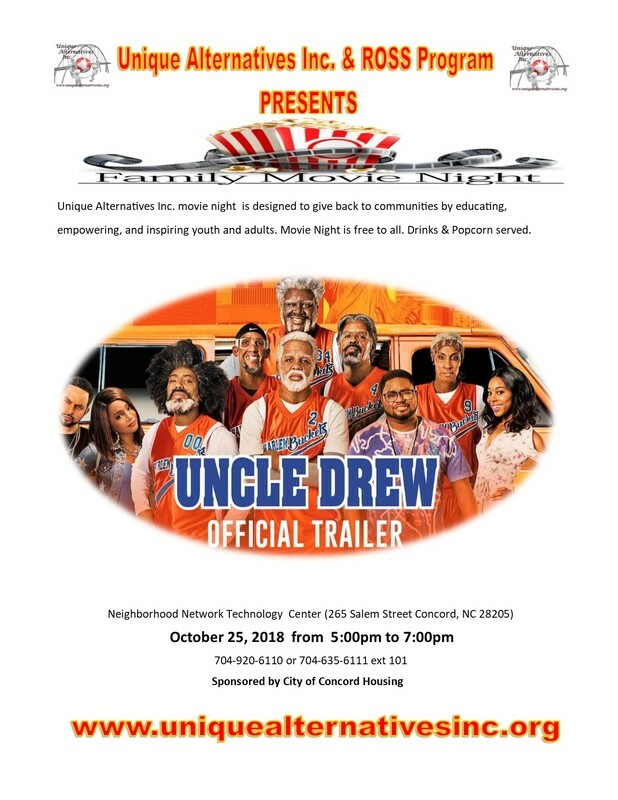 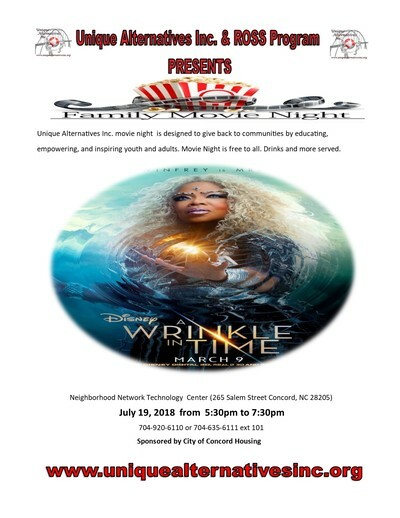 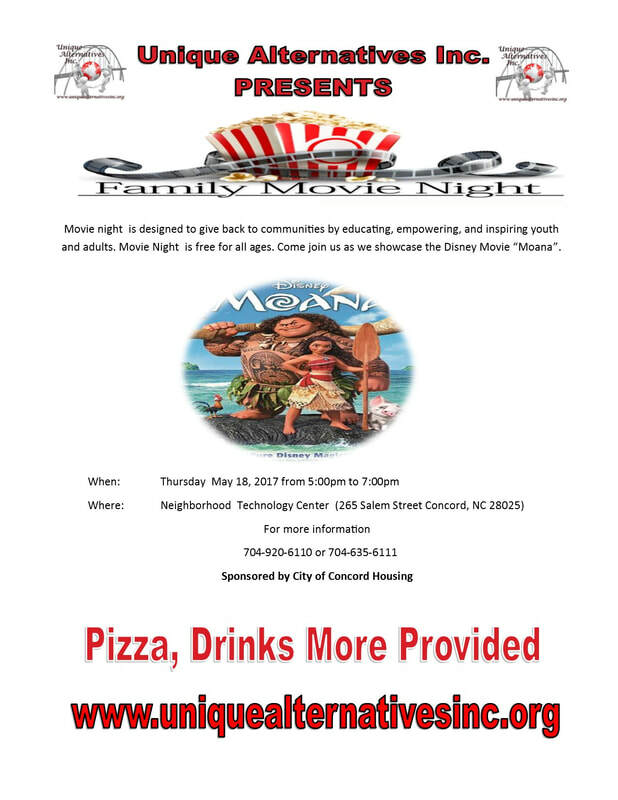 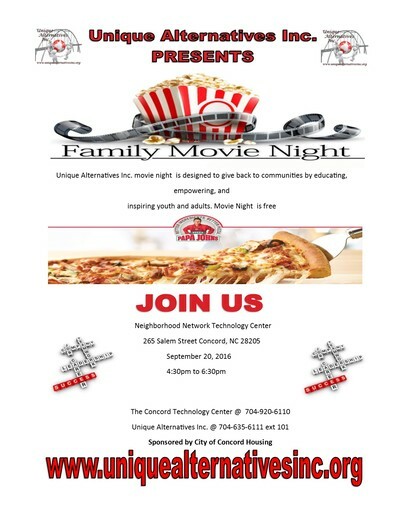 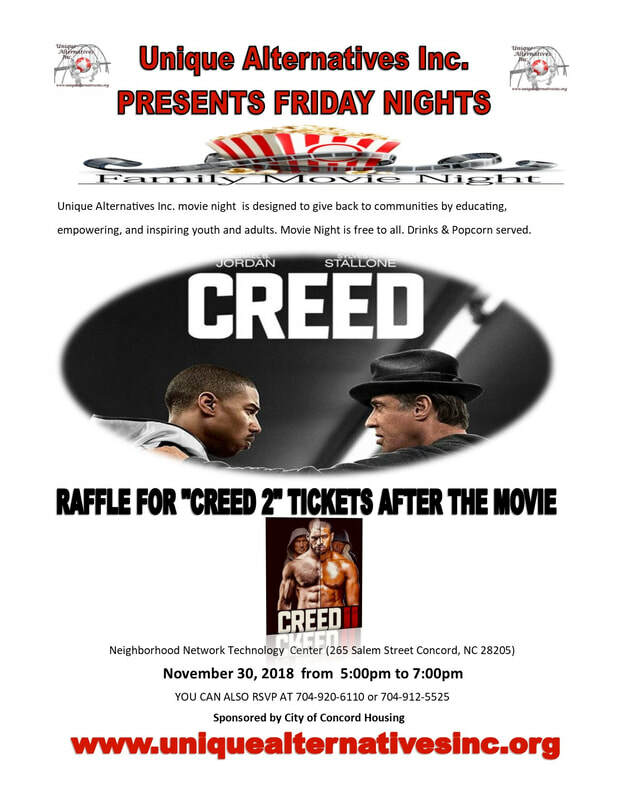 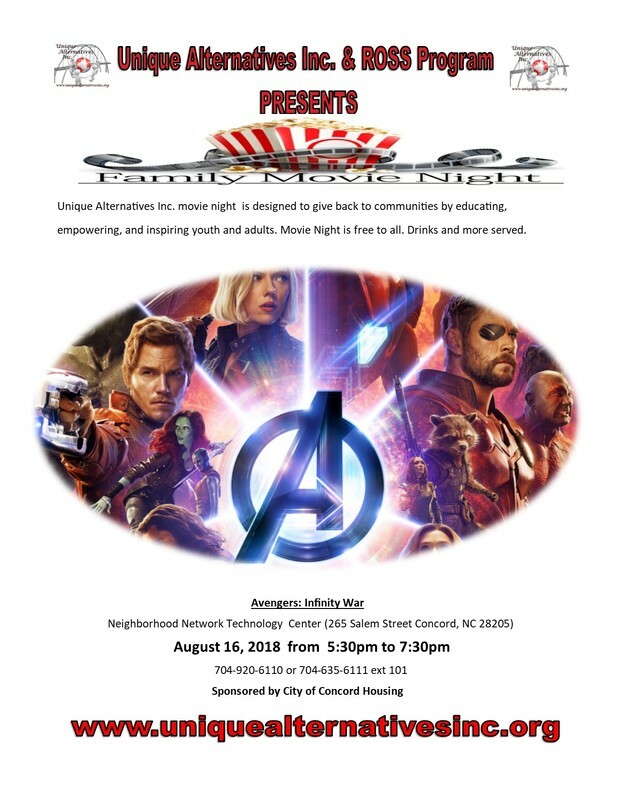 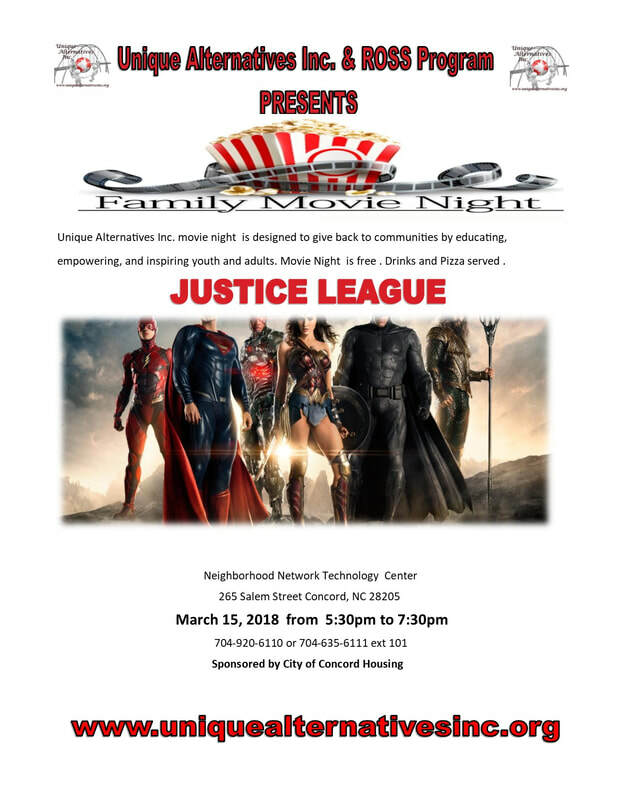 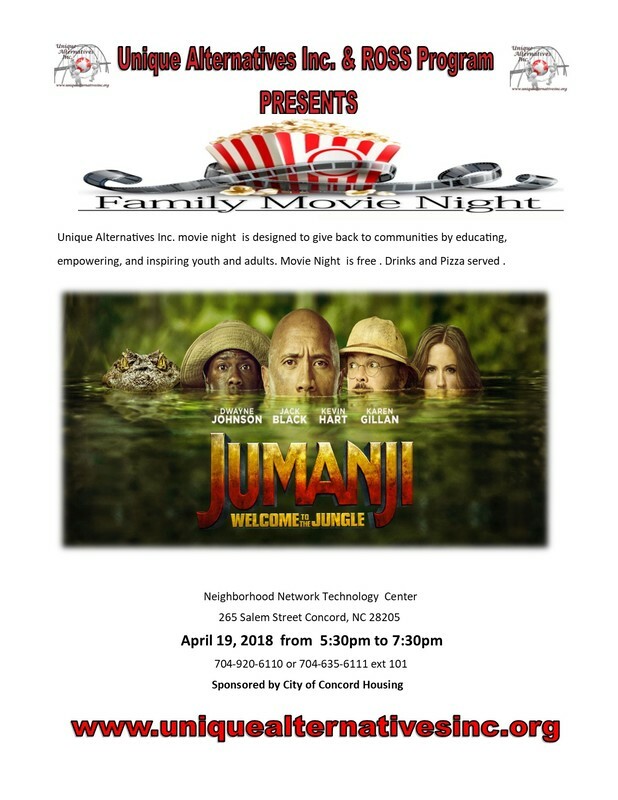 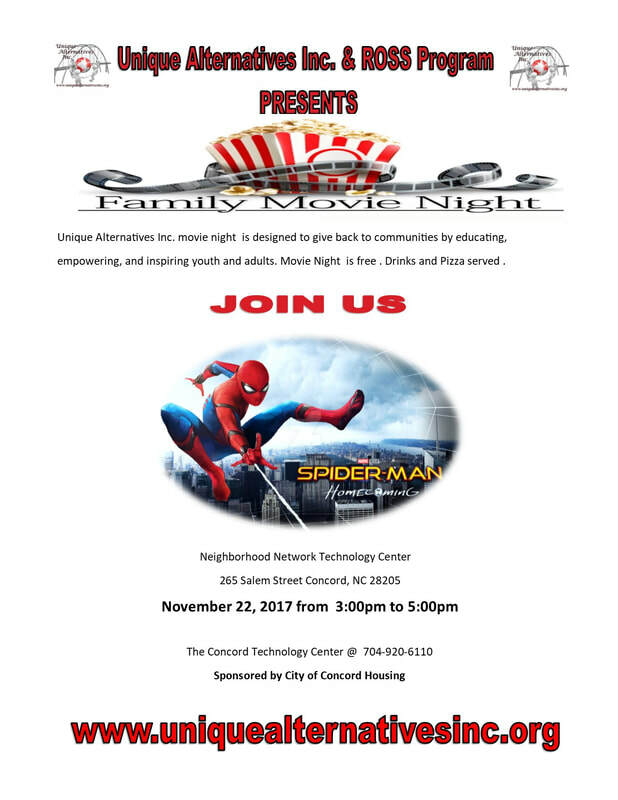 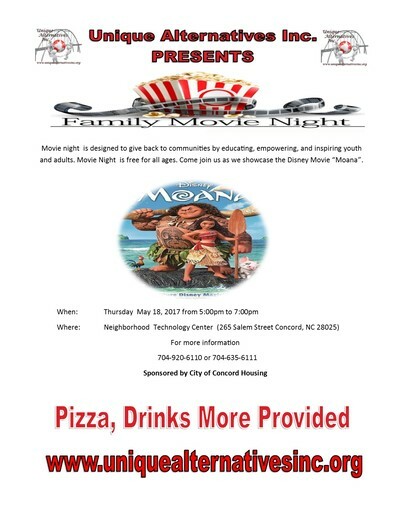 Family Movie Night - Unique Alternatives Inc.
Come join us once a month as Unique Alternatives Inc and Concord Housing Presents Community Family Movie Night. 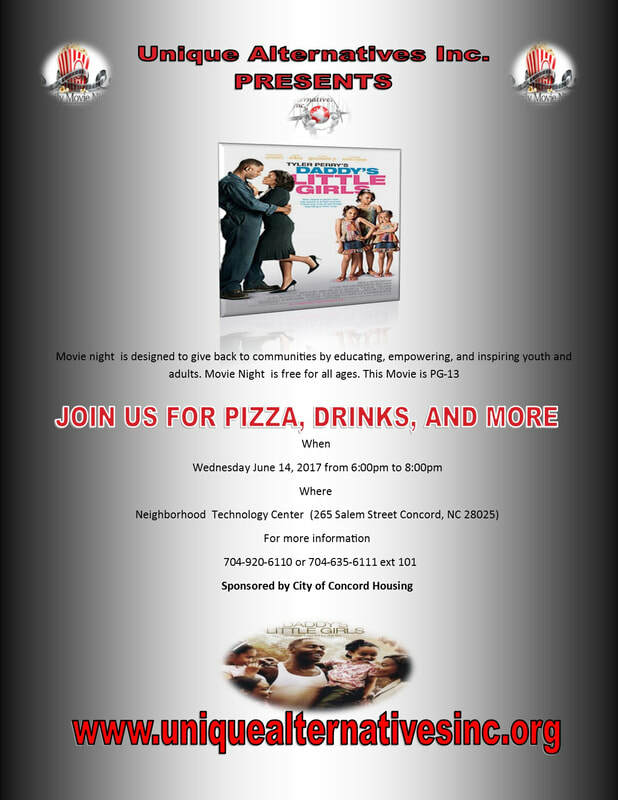 All movies are rated PG or PG-13. 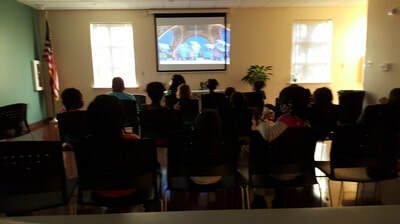 We show movies to entertain, educate and inspire individuals, children, and families. 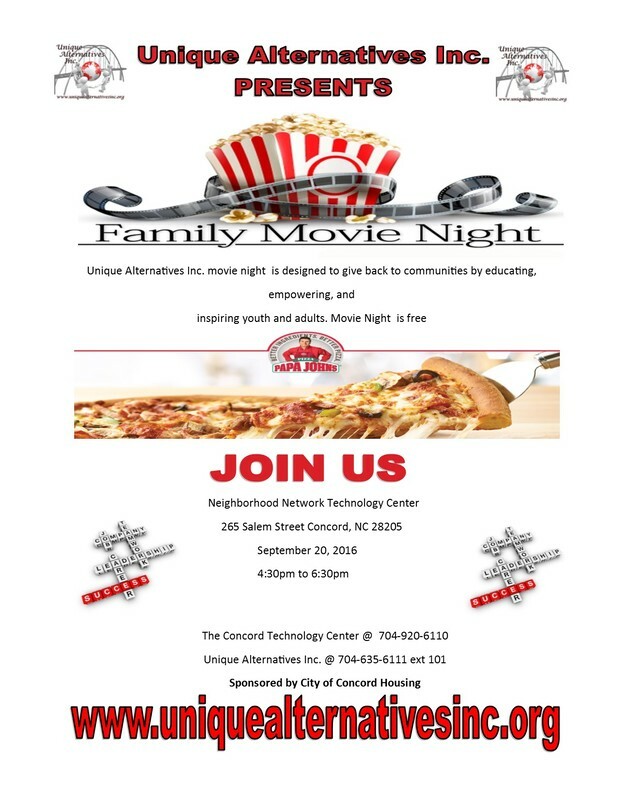 We are located at 265 Salem Street Concord, NC. 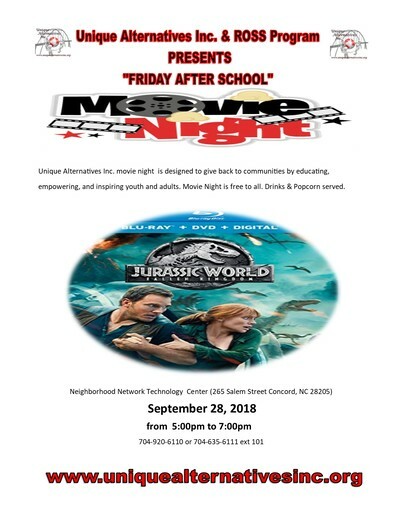 Drinks & Popcorn Provided.